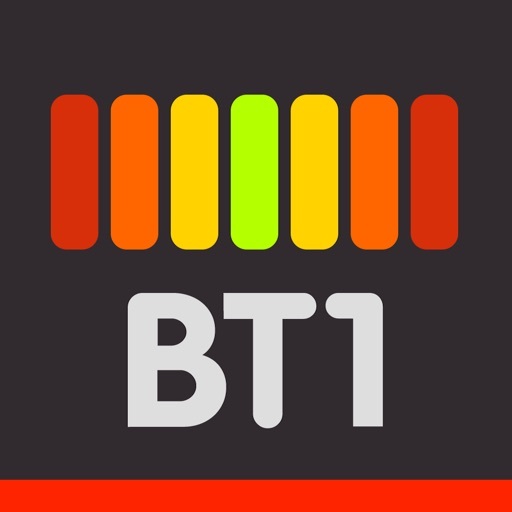 Bass Tuner BT1 is a specialized instrument tuner optimized for tuning low-frequency musical instruments. Tune any bass instrument (bass guitar, double bass, bassoon, bass clarinet, bass trombone, bass saxophone, cello etc.) with this extremely accurate and easy-to-use chromatic tuner. Bass Tuner BT1 also comes with a handy tone generator that plays any note as a reference for tuning. 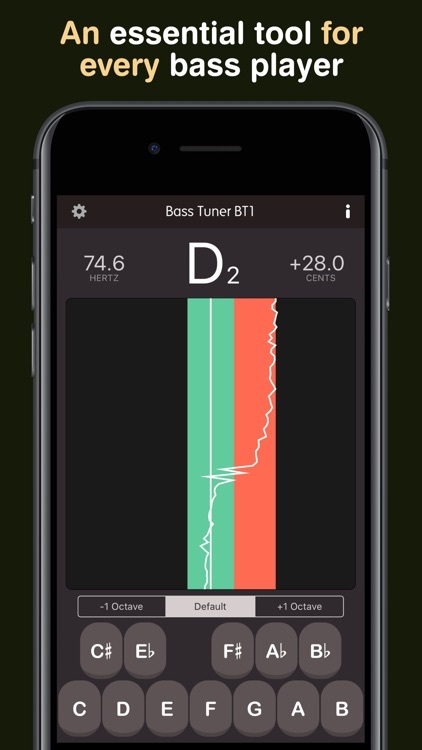 - Includes all the features of a professional bass tuner. - Extremely accurate (can be tuned to an accuracy of ±0.1 cents). - Displays the current note being tuned along with its deviation and current frequency. - Includes historical graph of the pitch that helps you with the tuning process. - Tone generator that can generate reference tones over a note-range of 3 octaves. - Ability to set the frequency of A₄ (for tunings where A₄ is not 440 hertz).